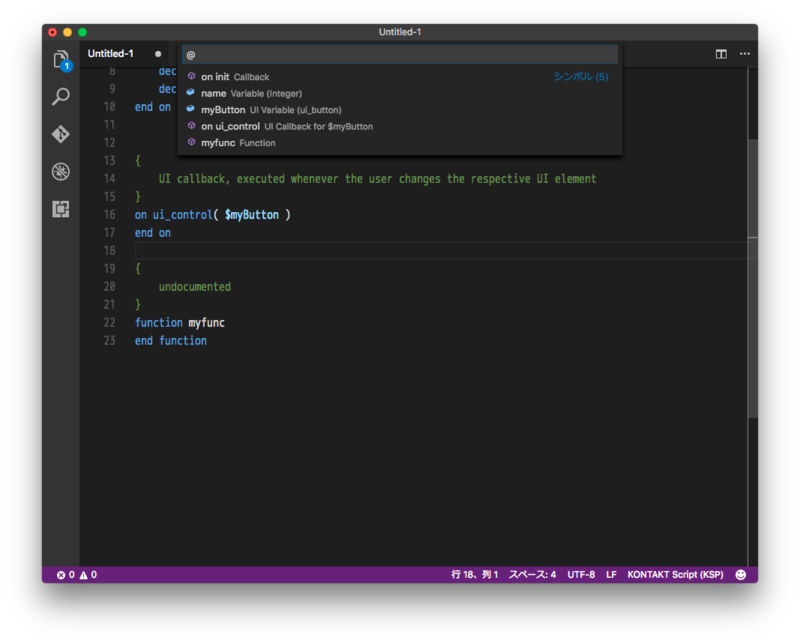 Visual Studio Code>Programming Languages>KONTAKT Script Processor (KSP)New to Visual Studio Code? Get it now. If F7 key pressed and your script has no problem, your script will copy to clip board. 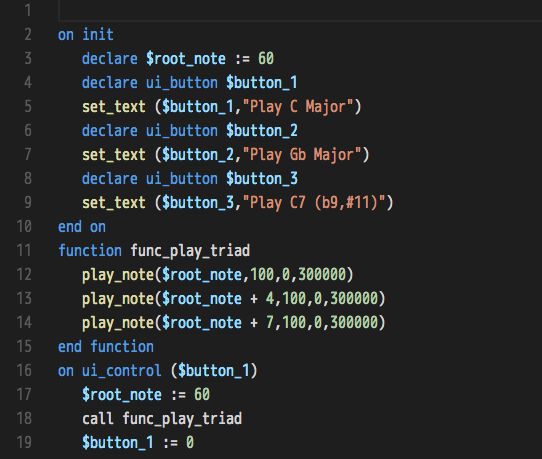 or run from command palette. 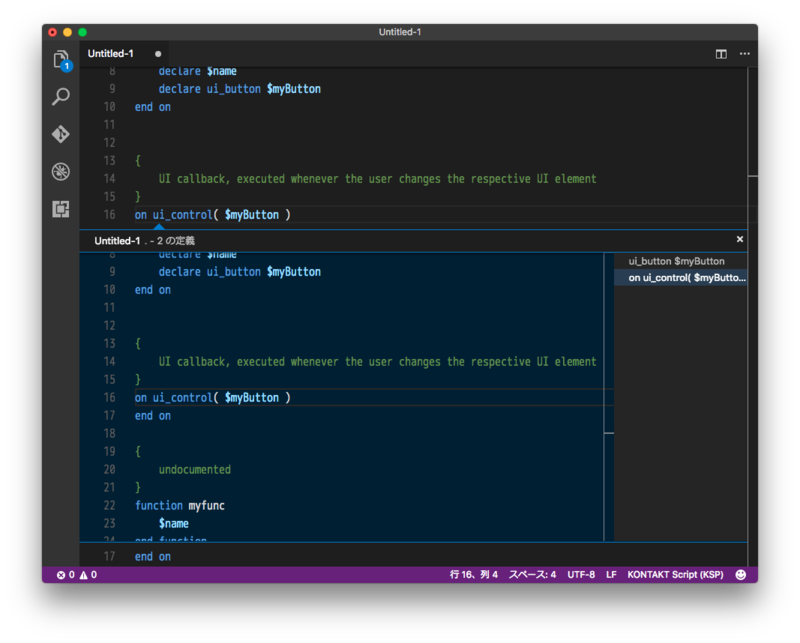 You need to ready for "Syntax validation" function. 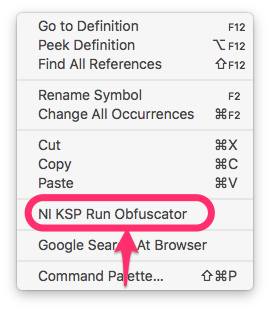 If Shift+F7 pressed, run obfuscator. Outline view is available in Explorer. Default is "disabled". You can change setting at Preferences -> Settings (Part of "KONTAKT Script Processor (KSP)" ). OUT OF WARRANTY because it is BETA version. 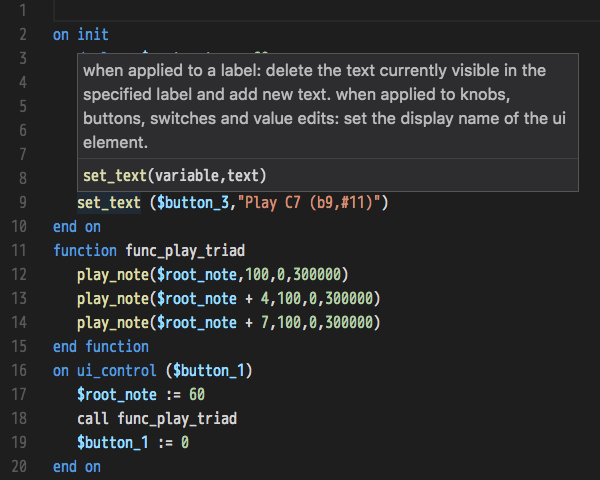 or Run from context menu in editor. @a := "MAX is" & $MAX & ". $MAX is always 100"
@_sxhd := "MAX is 100. $MAX is always 100"
Default is disabled. 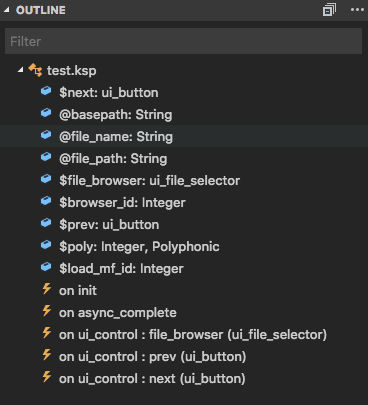 If you try, turn on vscode preference "ksp.obfuscator.inline.function"
You need to install Java 1.6 (or higher). [NOTE] Although the parser will attempt as much error detection as possible, if the grammar of the your script content deviates from the KSP specification, it will not function properly. KONTAKT is registered trademarks of Native Instruments GmbH.